My girls love screen time. And, really, don’t all kids? I have discovered that they’re not all that picky about what they doing during that screen time. Sometimes it’s something fun, sometimes it’s something educational, and sometimes we’re just watching an interesting YouTube video. 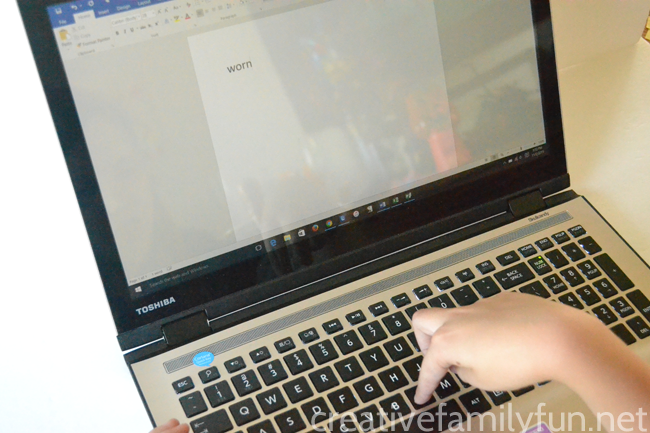 So, when it occurred to me that we could use my laptop to type spelling words, my girls were eager to get going! Grab your laptop (or sit down in front of a desktop) and open up your word processing program. My girls like a large font when they do this, so go ahead and get everything set up the way you like it. Tip: Mix it up a little and let your child choose a fun font. Swirly, bold, it doesn’t matter. But, if it makes it more fun – why not? 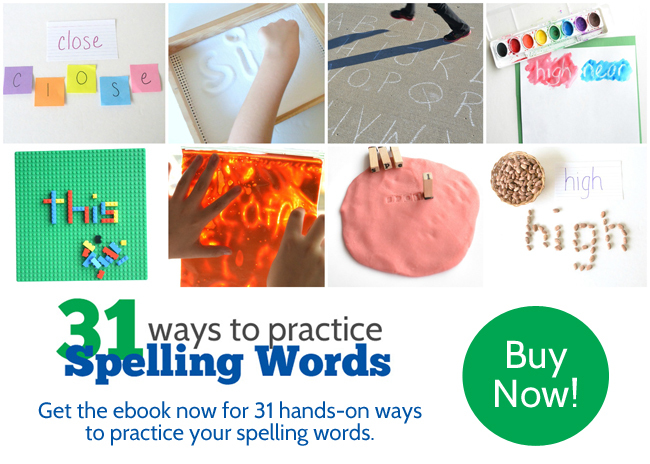 Have your child type their spelling words. Call the words out to them and let them spell by memory. Or, if they’re just learning their words, let them refer to the list. This is such a win-win activity. The kids get screen time. 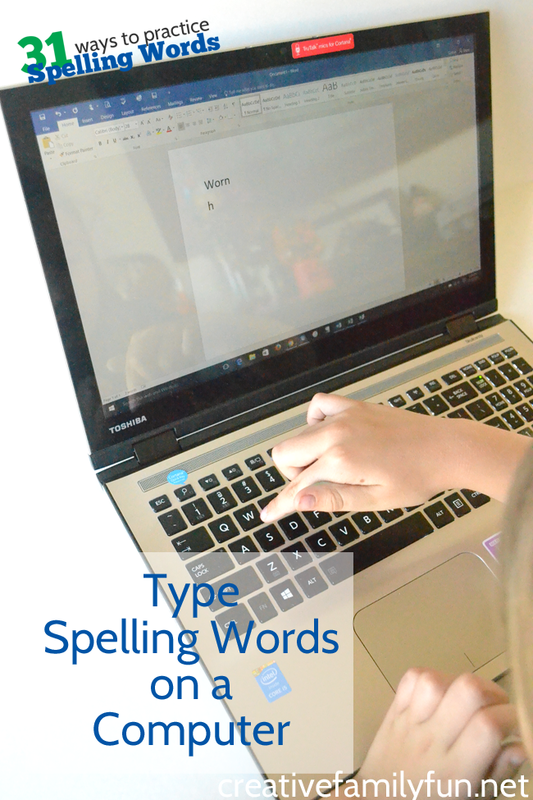 They’re practicing their spelling words and they’re getting familiar with typing in a word processing program. Let’s face it, that’s a skill they’re going to need in life anyway. When they’re done, I just close everything down. We don’t save or print; there’s really no need. 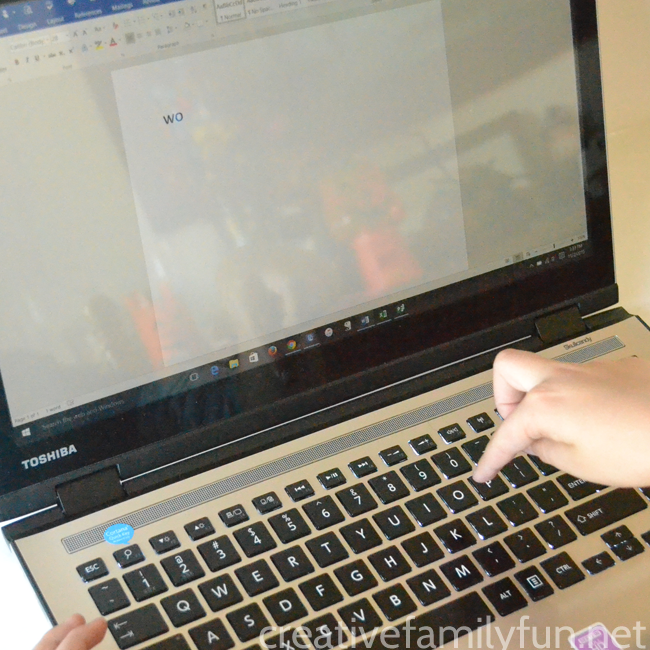 This is such a fun (and very low-prep) way to practice spelling words.